Apart from its fragility, antique glass is a beautiful thing to collect because there are so many styles and eras to choose from. Do you select Georgian, Victorian or art nouveau? 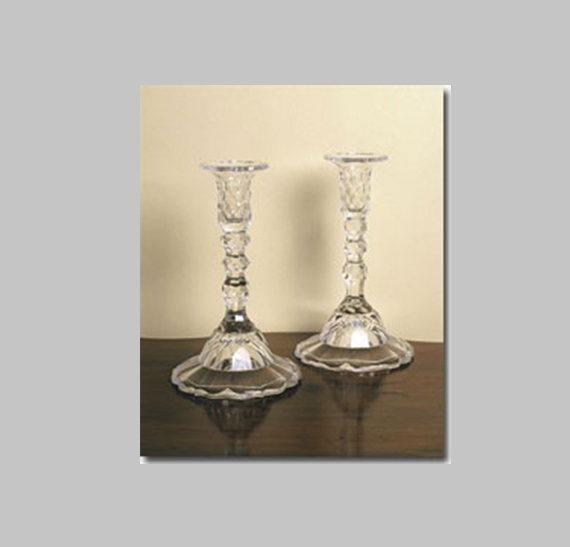 Drinking glasses, decanters, vases or decorative pieces? And should the glass be plain or coloured? It's a choice potential collectors should make early, or else they'll have such a wide collecting field that they won't know what to buy. In the late 17th century, a scientist named George Ravenscroft invented lead glass, or lead crystal. Before this soda glass was used and although it was "very decorative and pretty", it was much flimsier. This means that in terms of glass collectibility, the realistic choices start in the early 18th century. The Georgian period stretches from 1720 to 1820, the Victorian from 1837 to 1901 and art nouveau from 1880 to the early 20th century. Colours that appeared in the glass included Bristol blue (made with cobalt oxide) ruby (gold oxide), amethyst (manganese) and opaque white (tin or arsenic). Cameo glass - in which two or more layers of different coloured glass were blown one on the other before decorations were cut out - took off in the mid-19th century. Eaglemont Antiques specialise in fine antique glass, Georgian English drinking glasses, and 19th century Victorian coloured glass. We stock mainly items of the Georgian, Regency and Victorian periods but also sell some Art Nouveau and Art Deco items.